Sadie Sue is off to her new home in Portland Oregon!! 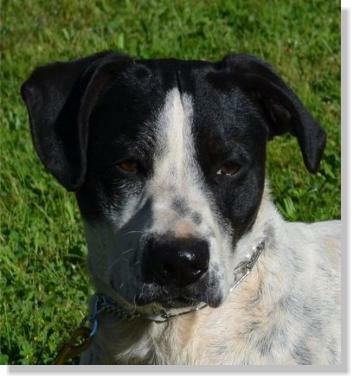 This lucky dog will be living with a very experienced dog owner who is interested in training her to become a SAR dog. We could not have hoped for a better home for her. Good luck Sadie Sue, we will miss you!! 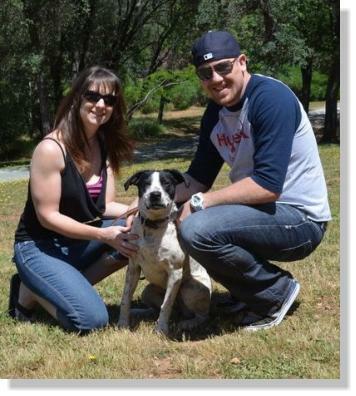 Little Sadie Sue comes to us from the kind folks at the Calaveras Humane Society. 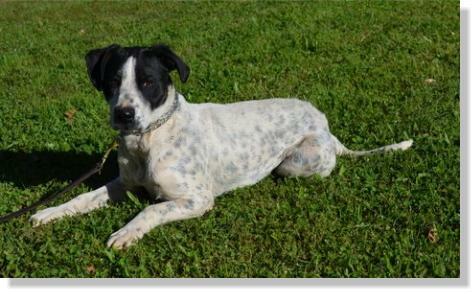 She is about 7 months old and looks like she is a Pointer mix. She must have a little terrier in her somewhere as she has a patch of very coarse and curly hair on her back. 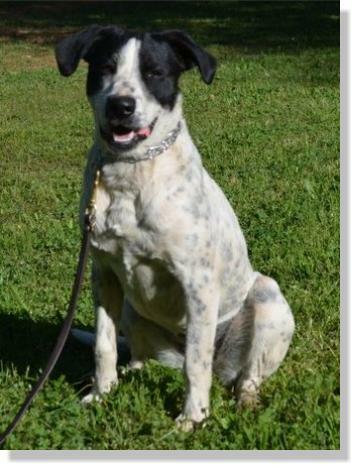 Sadie Sue is very friendly and playful with everyone she meets, people and dogs alike! 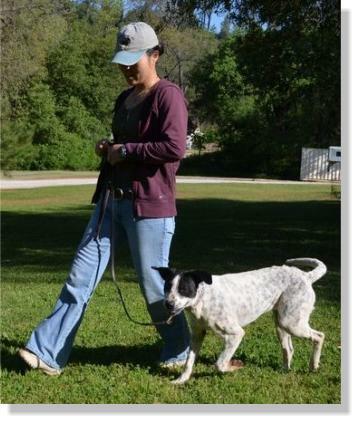 Sadie Sue loves to practice her obedience lessons and seems to be very smart and willing. She is very comical with her roommate Walter, trying to get him to play with her and the big bone that she carries in her mouth. When Sadie Sue first came to us, she was a horrible barker! Now she stays quiet most of the time and the only time she barks is right before feeding time. Sadie is a bit of a chewer and will need to be given good strong chew toys like Nylabones to keep her busy. The only think she has chewed on here at the ranch is a five gallon bucket! It is now a three gallon bucket!! She has made no effort to climb out or dig out of her kennel. Sadie is young and his nice toy drive. 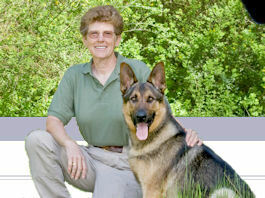 If her new owner was interested in training her for Search & Rescue work, she could possibly do the job.